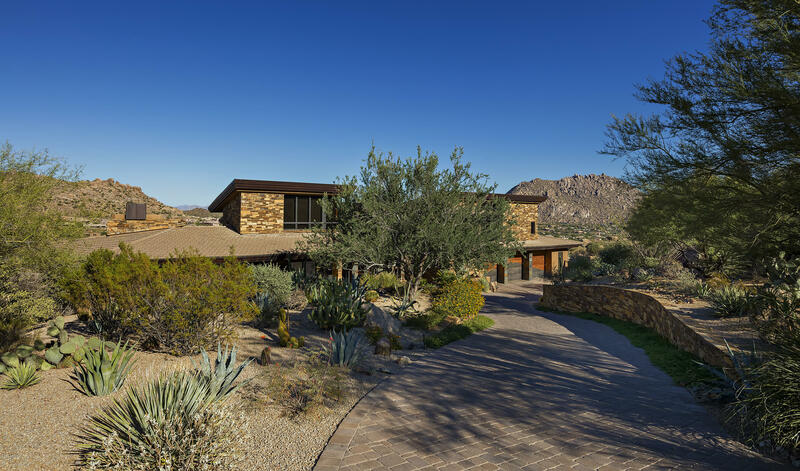 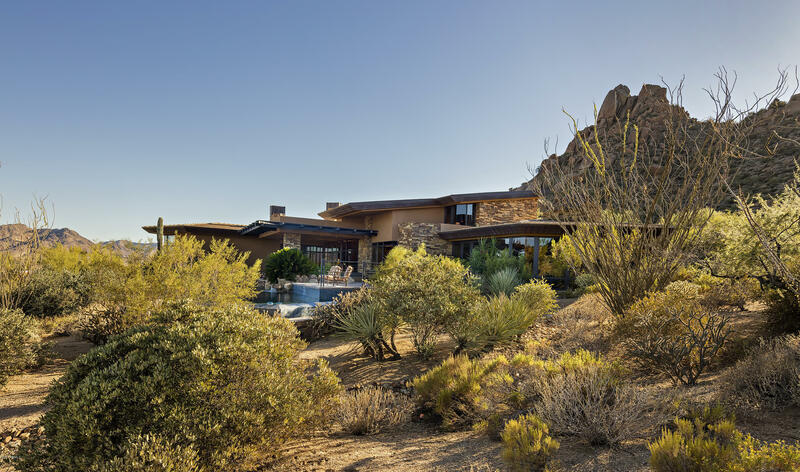 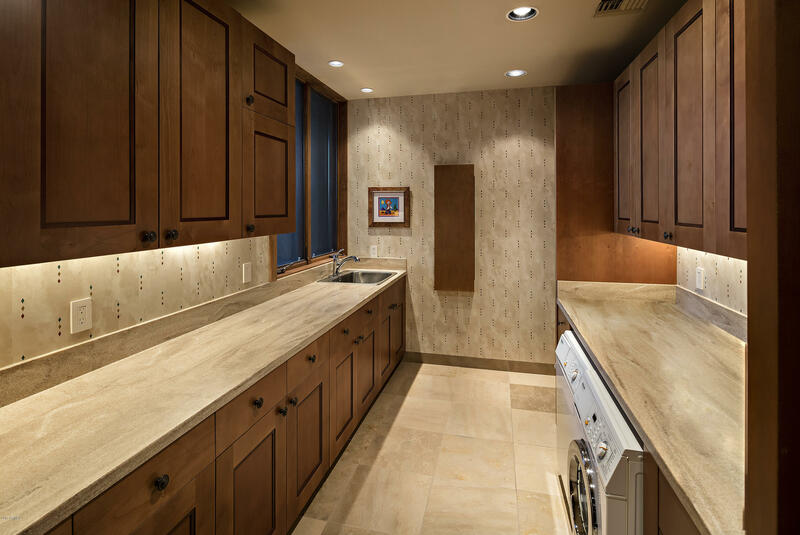 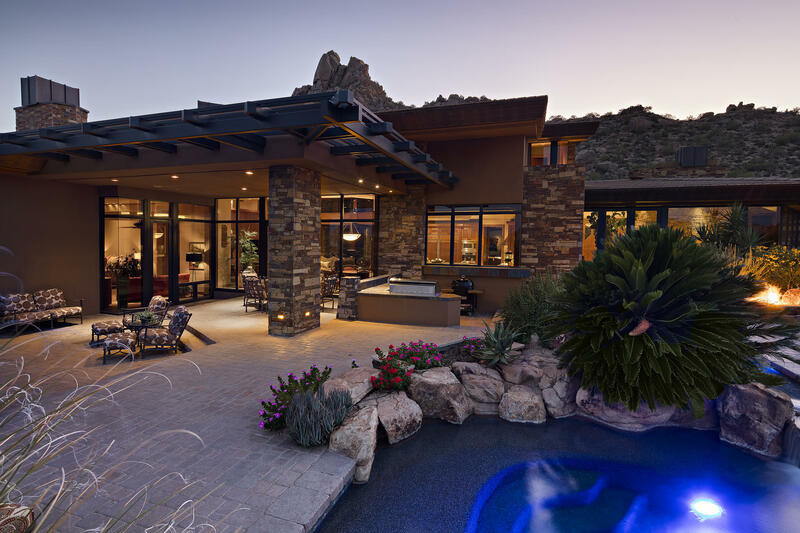 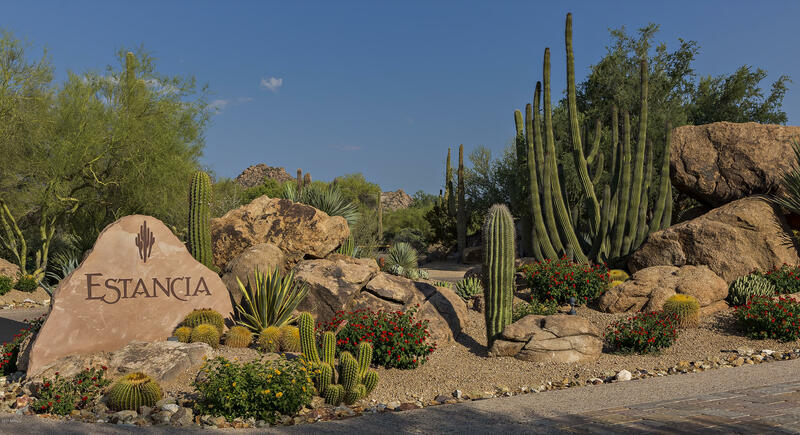 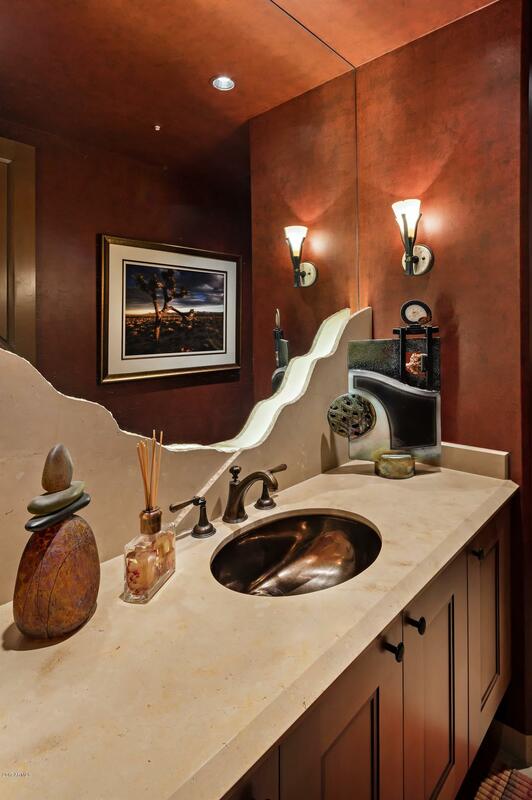 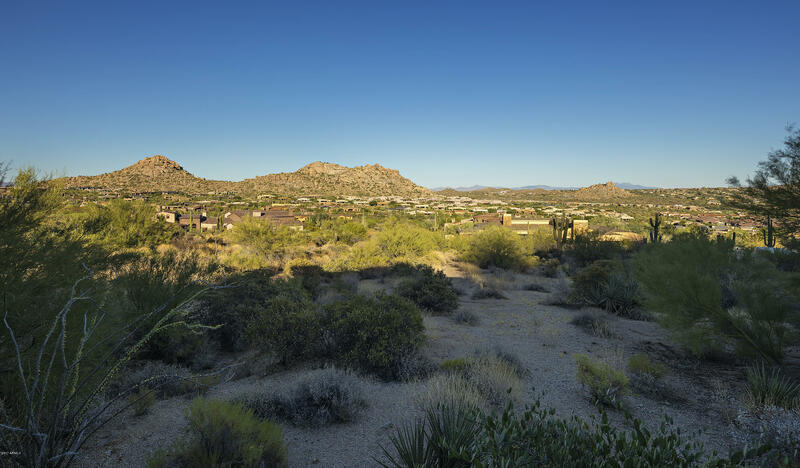 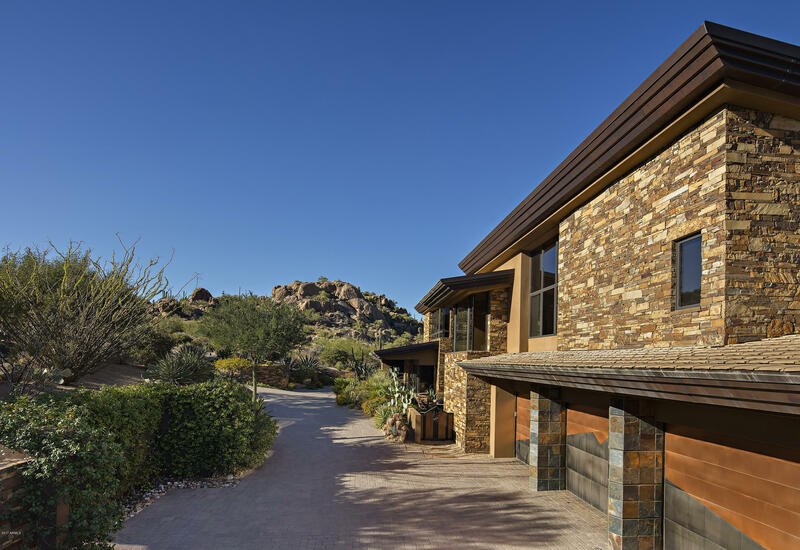 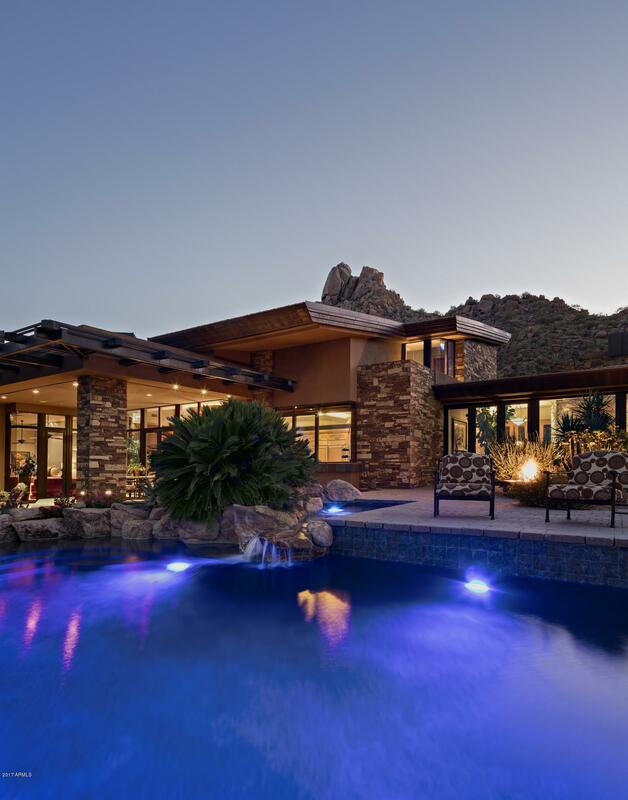 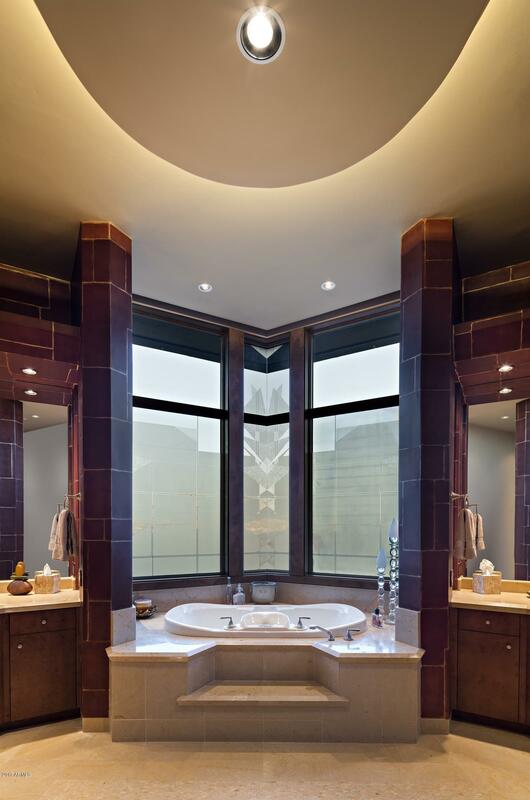 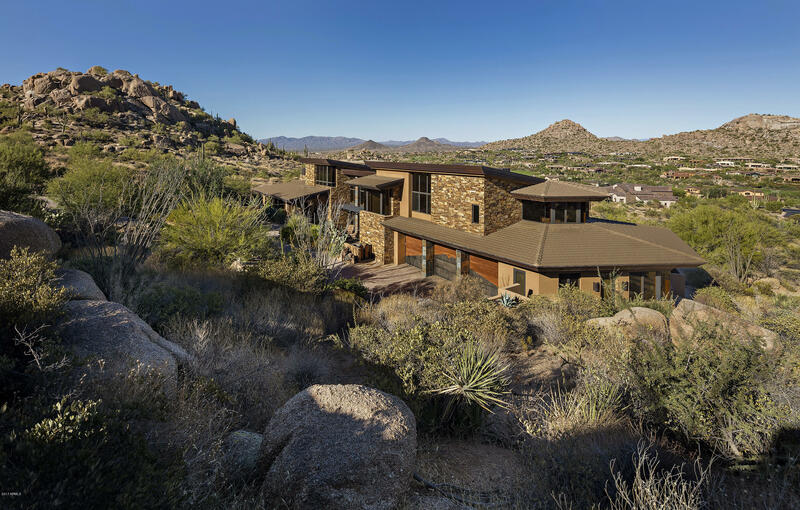 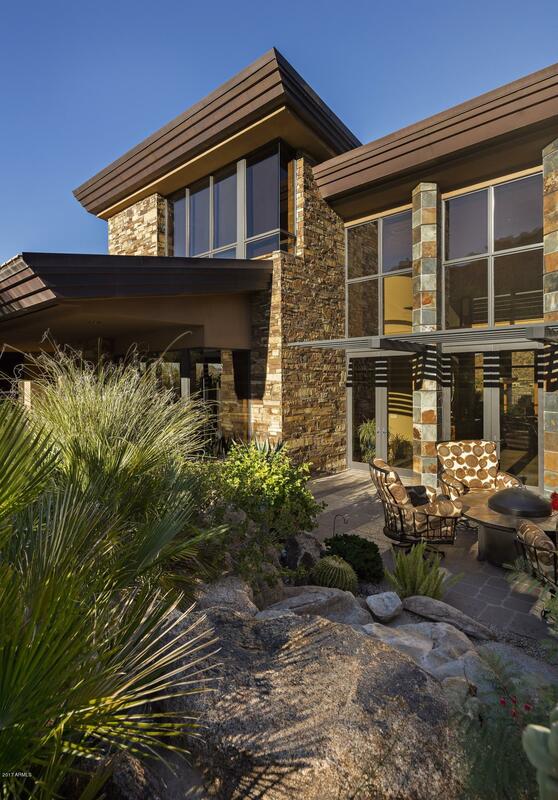 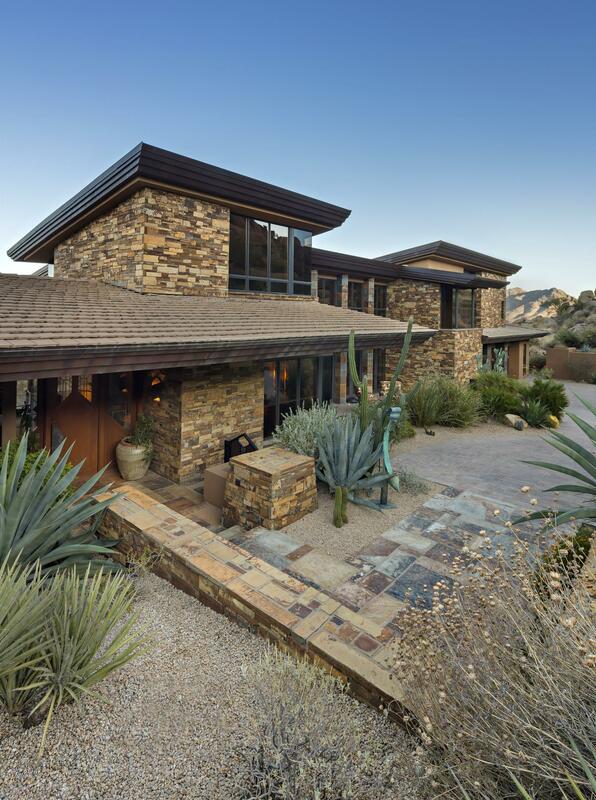 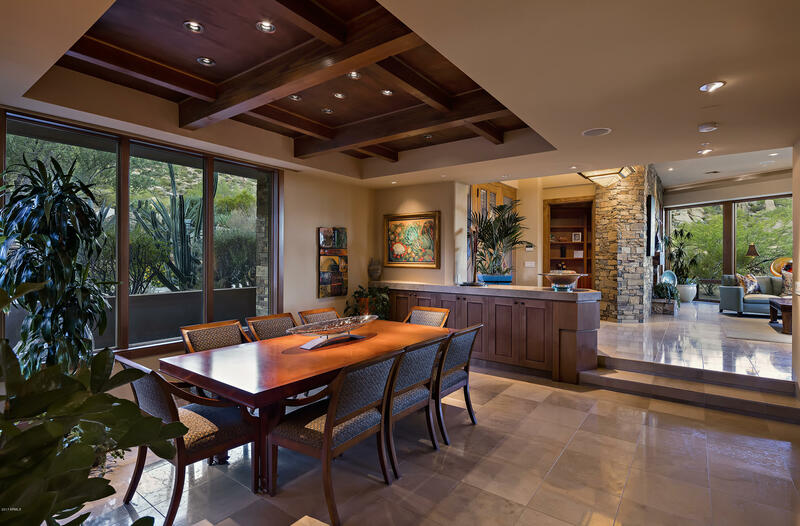 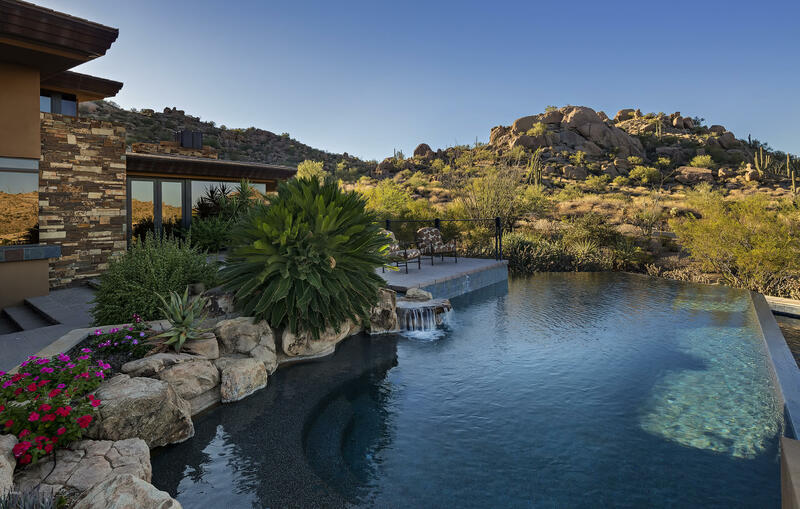 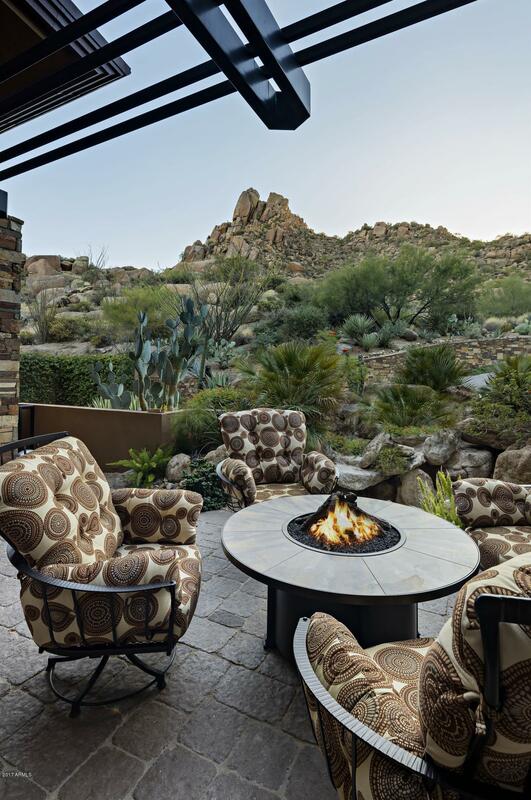 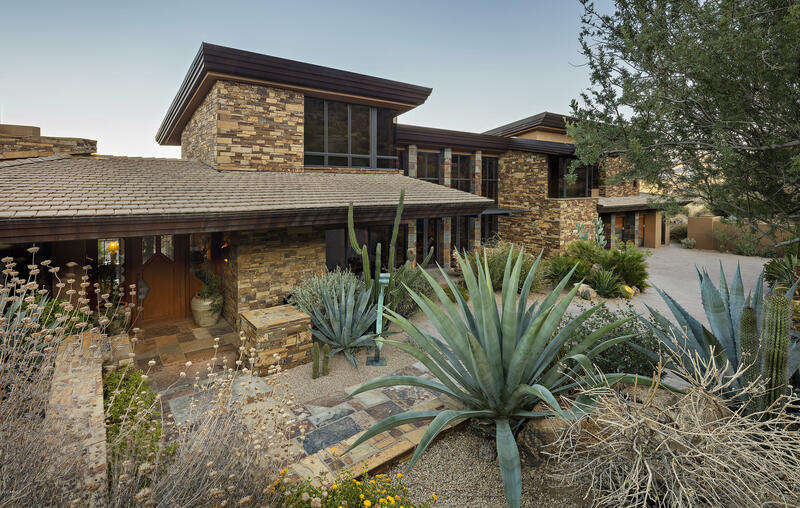 Elegant Frank Lloyd Wright inspired architecture with elevated views in the renowned community of Estancia.Timeless finishes and impeccable details are featured in this contemporary design by Mark Sever. 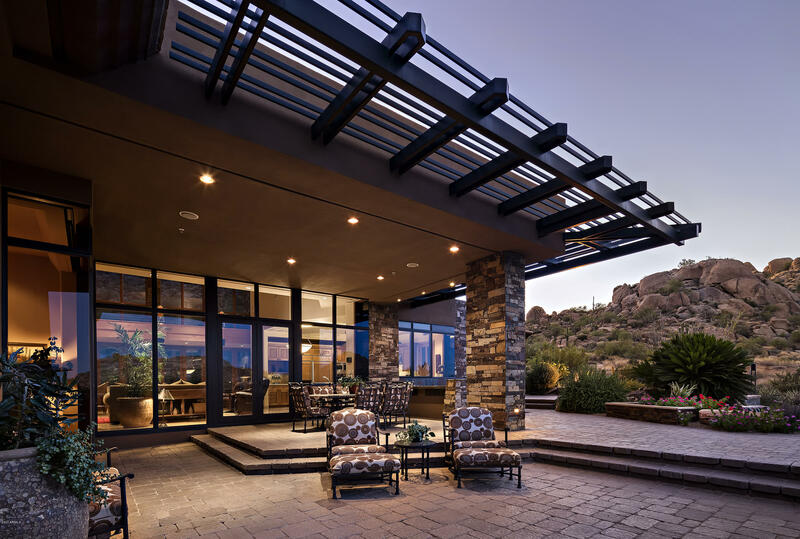 Materials include the use of linear metals, large glass elements, dry stack stone walls, beamed ceilings and limestone flooring. 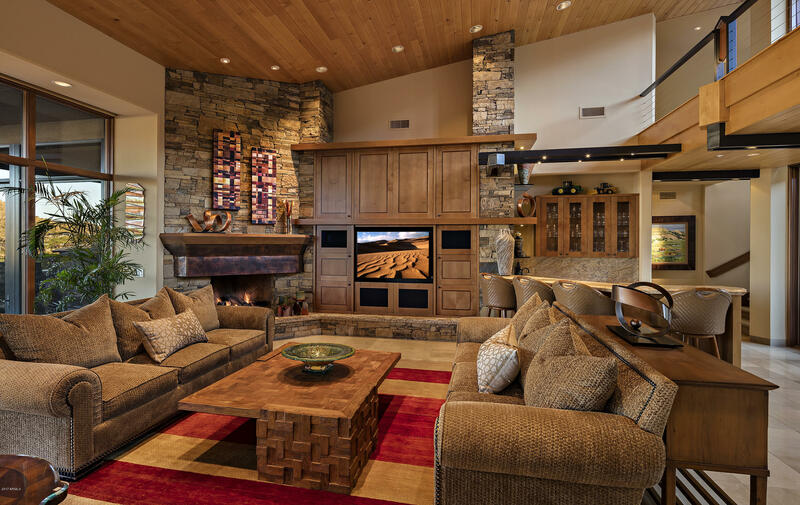 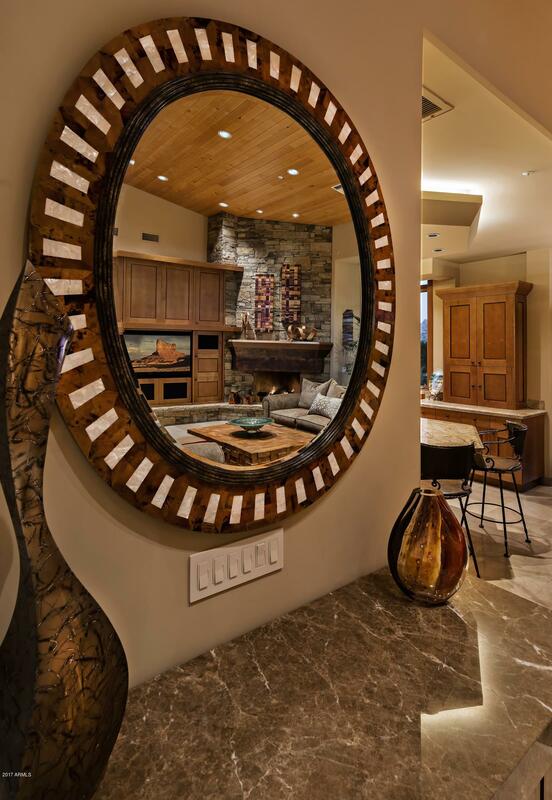 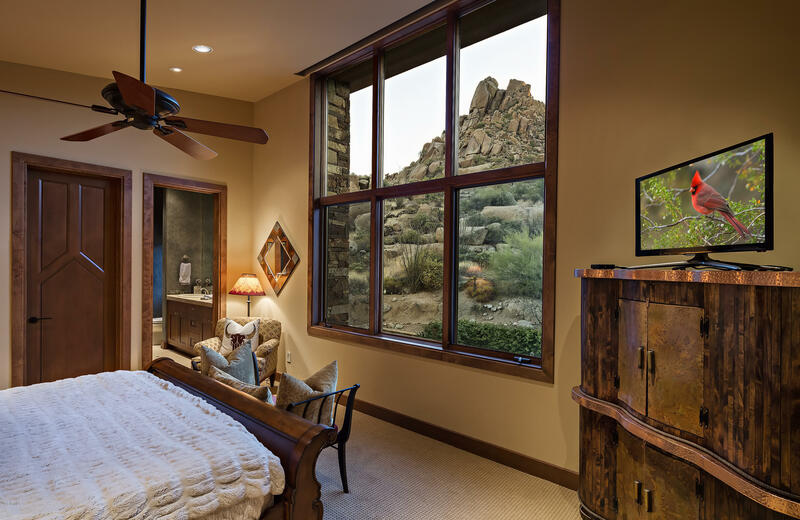 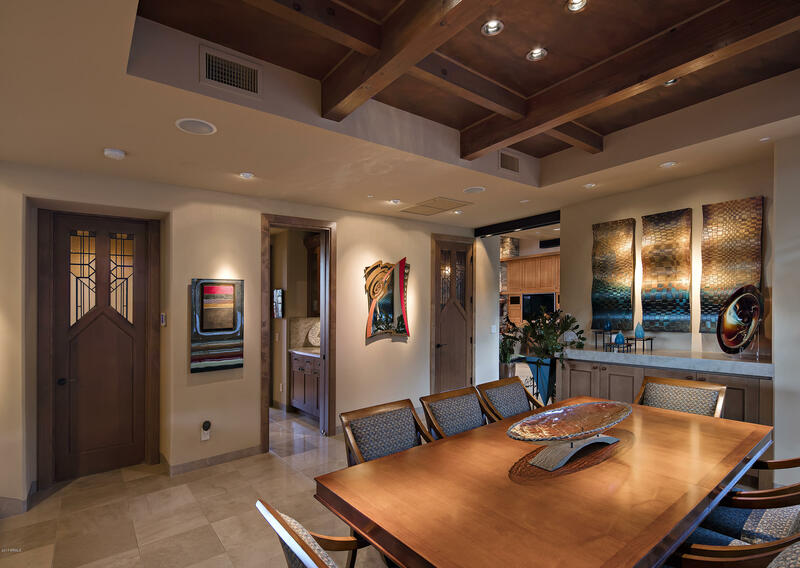 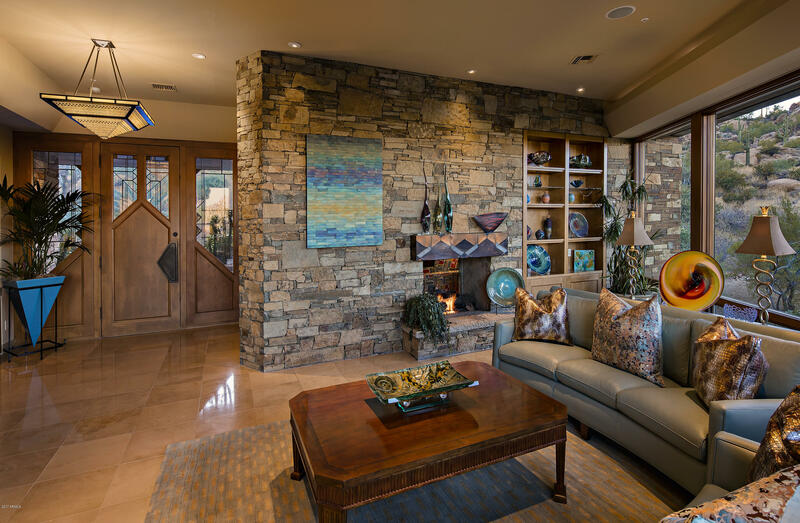 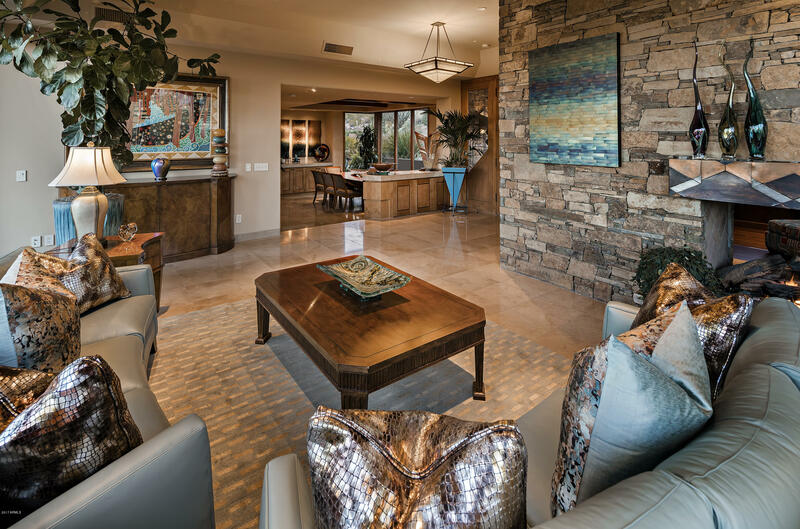 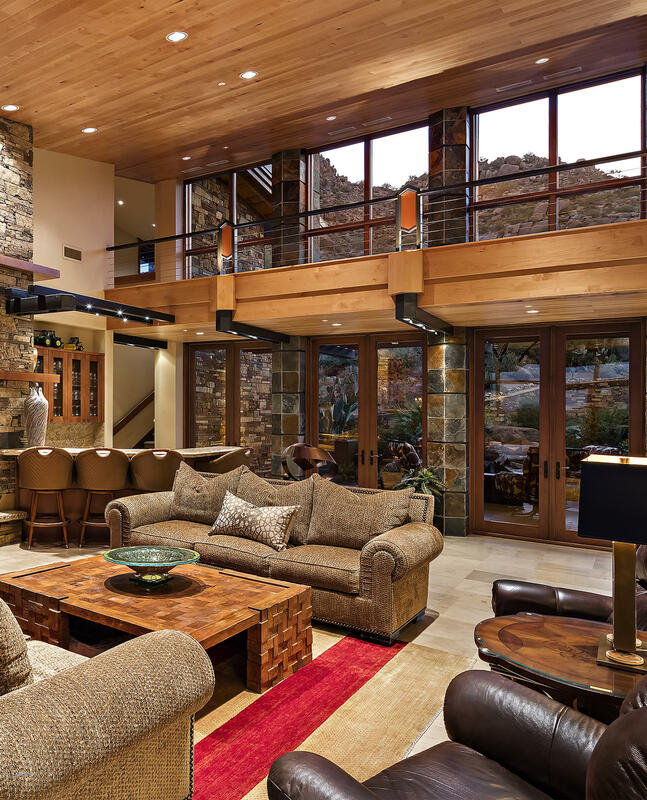 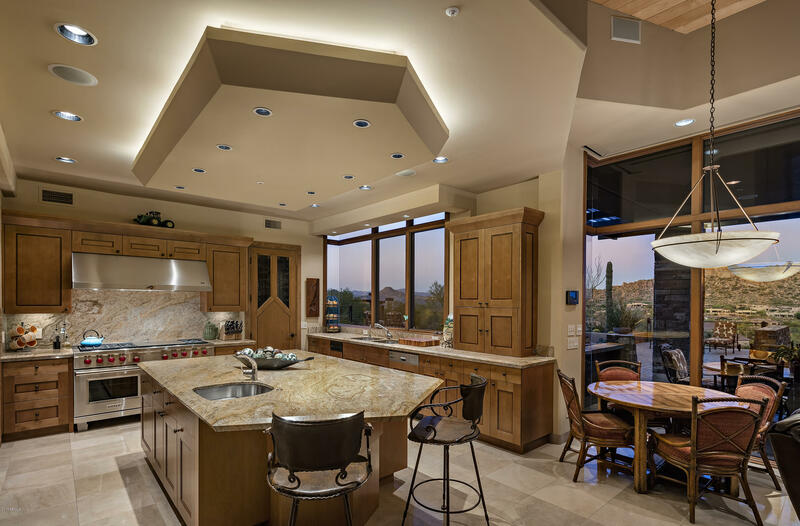 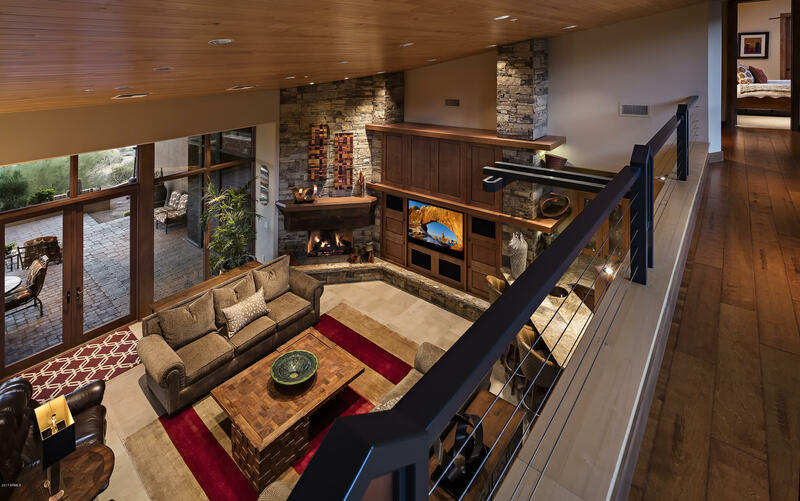 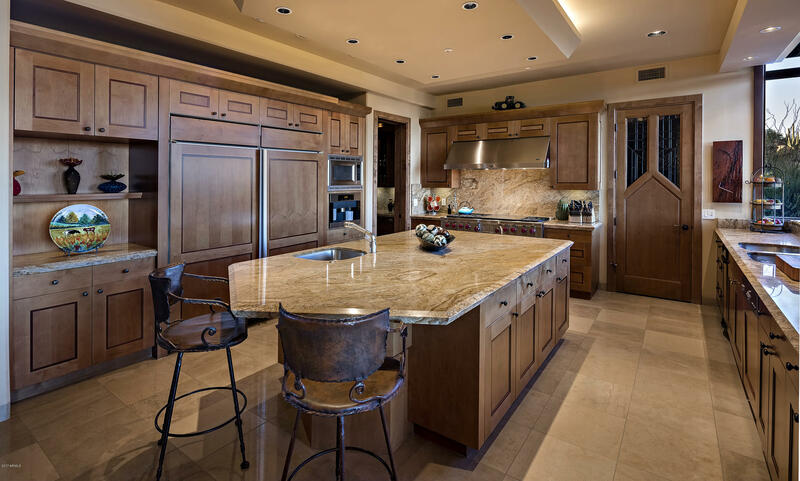 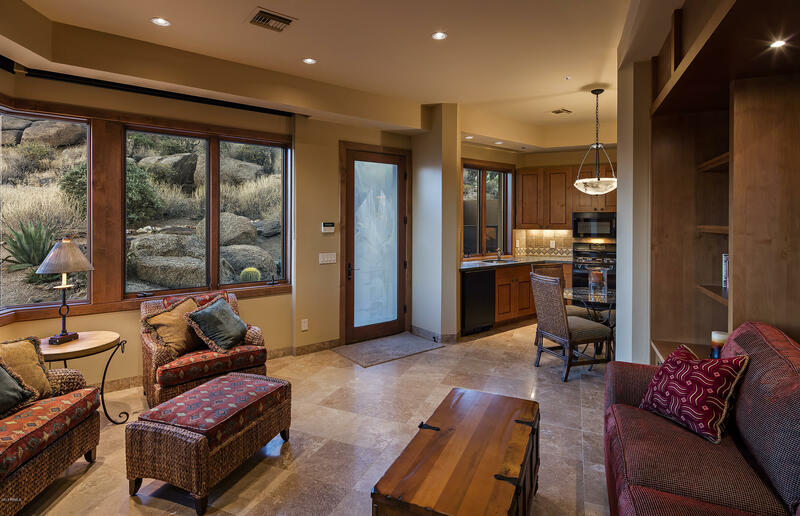 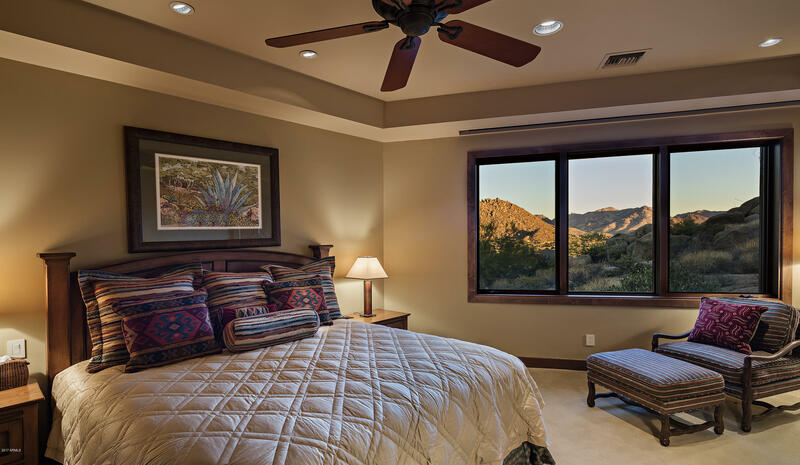 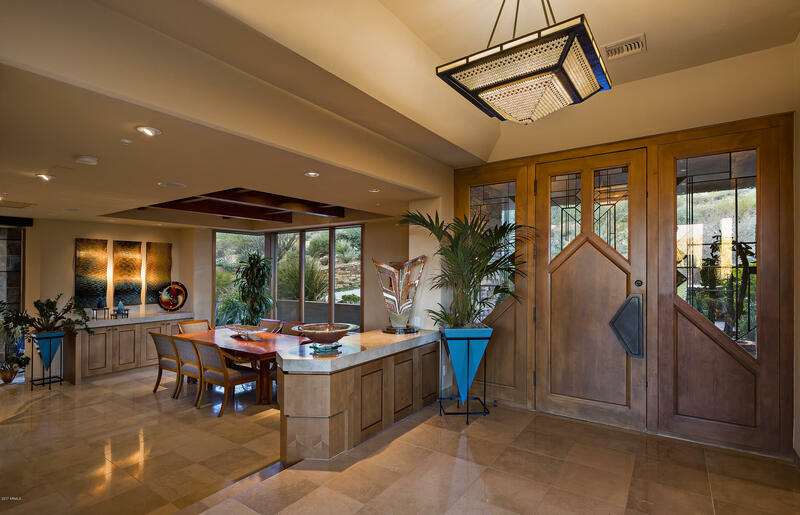 A functional and open great room floor plan with seamless indoor/outdoor living that takes advantage of the panoramic mountain and golf course views. 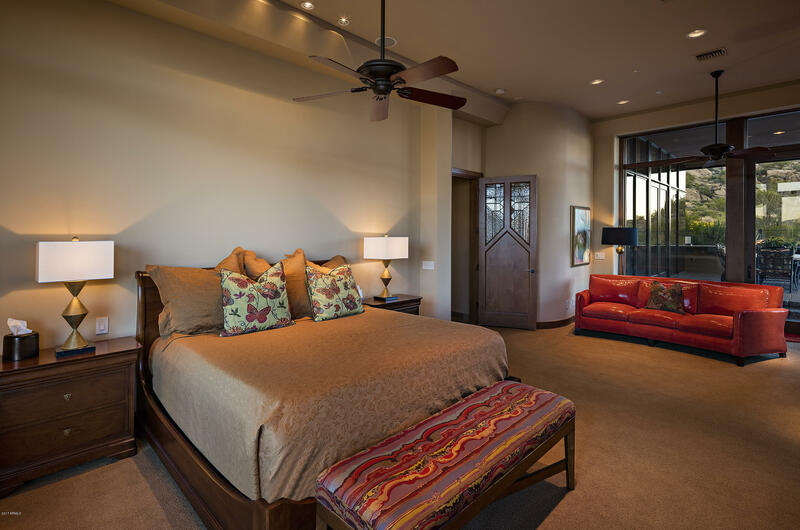 Master suite is located on the main level with two guest suites upstairs and an attached guest house downstairs. 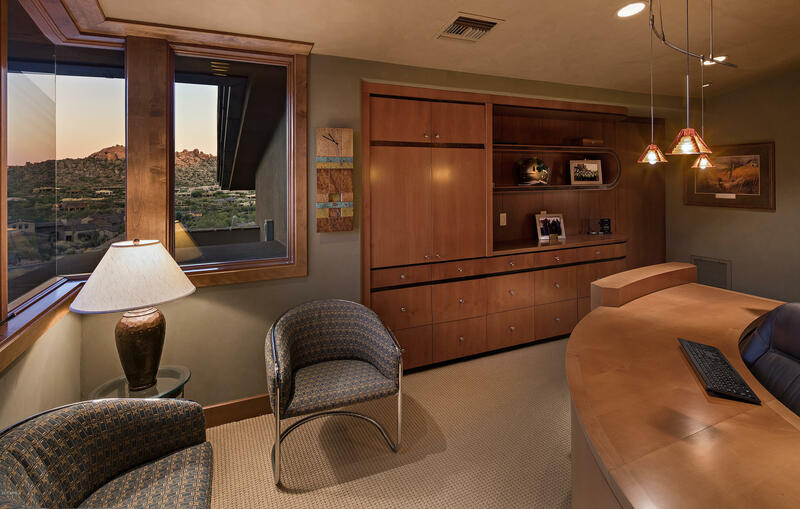 In addition there are his and her offices plus an exercise room.